Kamakaze – No Days Off, No Problem. The less days Kamdog has off the better. The man’s music is possibly the best thing I’ve heard in years, a refreshing voice that tells a story. Here at DeezEndz we support him so much. Artists looking to strive in the scene, just take notes from Kamakaze. Kam’s music is gospel to me, it makes you think about your own life, Berghain Episode makes me plot and that’s what I like. Thinking about your own dreams and aspirations while listening to great lyrics and an even greater beat. You differently need a chilled drink while listening to this one, and you better make damn sure it’s Morgan spice. Kam if you’re reading this, I will play this song at my wedding, I need u two know that. On a level this song is everything, an emotional grime song is something I can always get behind. It’s an excellent addition to what already is a timeless classic in Wavey Shirt Wednesday. I’m not saying these are the best lyrics ever to grace a song but I’m saying these are the best lyrics ever. But seriously, Kam shows how real he is on this song, he truly embraces what he has achieved, and you can see the humility throughout his music. That’s something other artists forget about sometimes, they feel like they don’t need to connect with the people, when it’s not always about glorifying a gangster lifestyle. Sometimes, it’s just about having that balance in your music. Kamakaze can relate to his fans, the man just has a pure passion, whether it’s kicking a ball or making melodies. Why is it the best? Westy on the beat, Kamakaze on the track, what more could a person want. This is the prime cut, it highlights how Kam can switch up his flow, he attacks the track with pure pace, the type of pace I’d expect to see in the Premier League not the Vanarma National League. The whole of the Road Rage collection is a worthy listen, but for me Road Rage I just personifies just how good Kamdog really is. But, I don’t need to tell you that, you’ll find out on the 27th April 2018, when his forthcoming album ‘Facts not Fiction’ is released. As I sit here, I currently have a 10,000-word dissertation to write. But I’d rather spent my time showing people the emerging talent grime has to offer. We need to talk about the video, Oh, boy do we need to talk about the video. So, I was thinking what’s Kam gonna be doing like? Is he doing all three at the same time? Which would automatically get him millions of views because that would be great multi-tasking. But, no he was just there in the nicest puma tracksuit I’ve ever seen, doing what he does best, spitting bare fire and looking wavey. The video deserves awards just for it’s angle shots, man was a big fan of them. The video is everything I wanted it to be, it represents Kamakaze on the highest level. 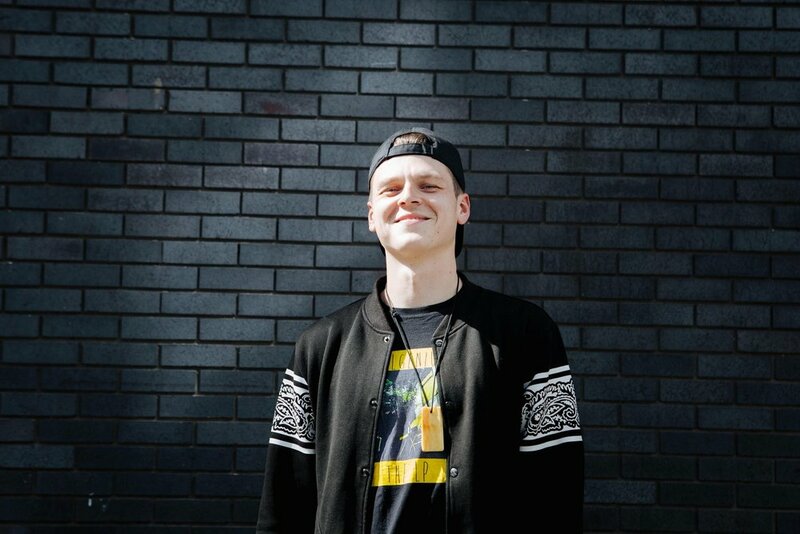 I’m about to make an outrageous claim, and you can @ me if you want, but Kamakaze is going to one of the biggest artists in the UK, trust me, I’m writing this article with nothing but love, he is doing grime so good, he is striving every day and if man continues, I just don’t see the wave stopping for Leicester’s finest. You just know I have to talk about some of the YouTube comments. I created a YouTube account and blocked him. Anyone disliking this video is a pagan. Shout out to Zdot and Krunchie, man had to put a jumper on, it was that cold. Blessings upon blessings to Kamakaze, for his music, videos and constant support. If you want to listen to more tunes like ‘No Days OFF’ I suggest you pre order ‘Facts Not Fiction’ or I will block you on YouTube.